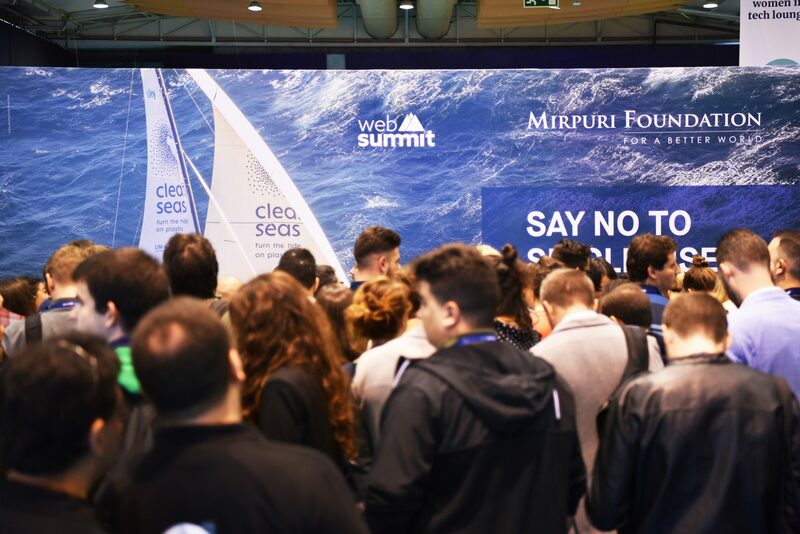 The Web Summit has previously been described by Italian astronaut and physicist, Paolo Nespoli, as the place where ‘impossible dreams do come true,’ and for the Mirpuri Foundation that certainly proved to be the case. 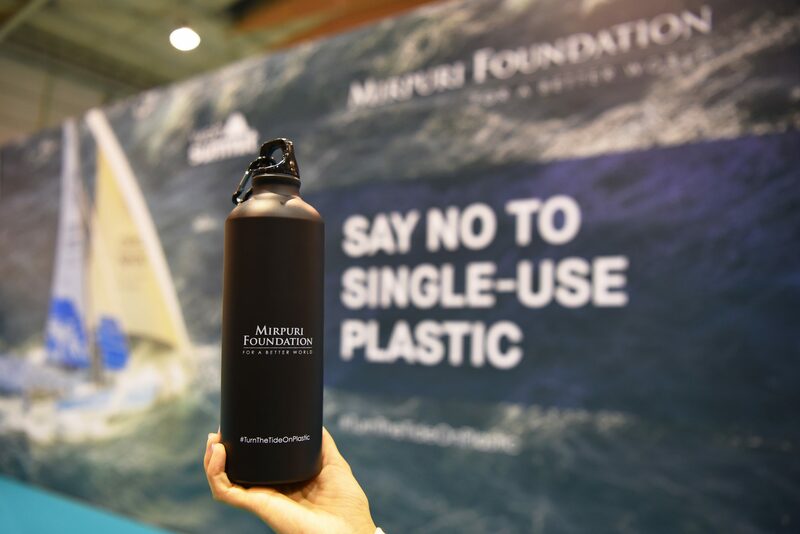 A well-received talk by the Foundation’s President, Paulo Mirpuri, immediately followed by a surprise announcement from the Portuguese Minister for the Environment, that, after successful lobbying by the Foundation, the Government would ban all single-use plastic items in State departments from January 2019. 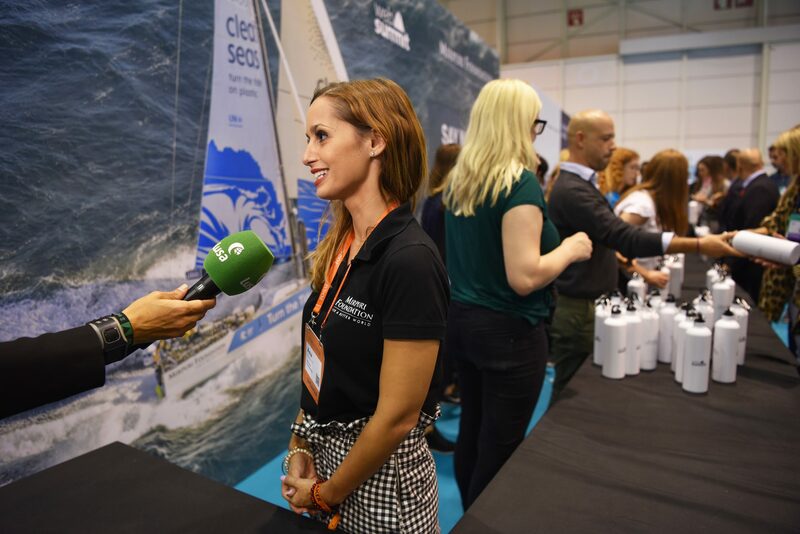 The hosting of the Planet Tech stage by the Foundation’s Head of PR & Media, Ana Agostinho. 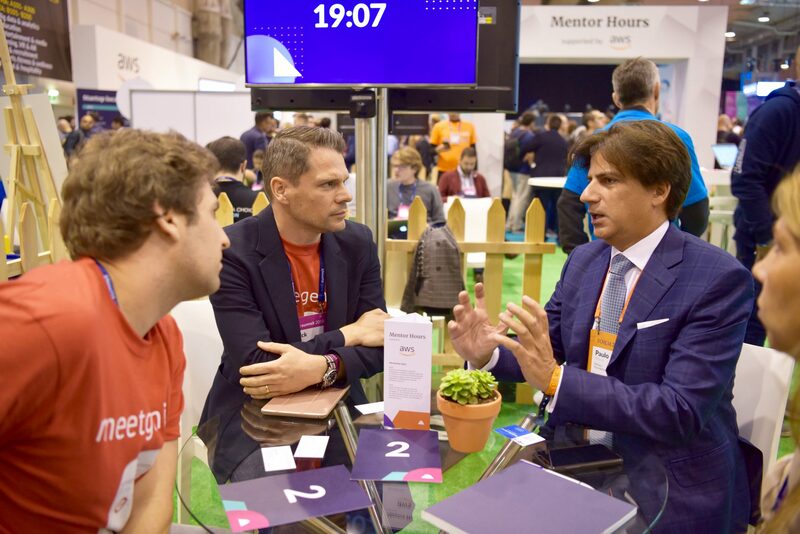 Alongside these three notable achievements, Foundation President Paulo Mirpuri also offered quiet words of encouragement, and shared the fruits of his hard-won success in business with young entrepreneurs attending the Summit’s well-regarded Mentor Programme. “It was plainly a very busy week for the Foundation, but I honestly don’t believe it could have gone any better. 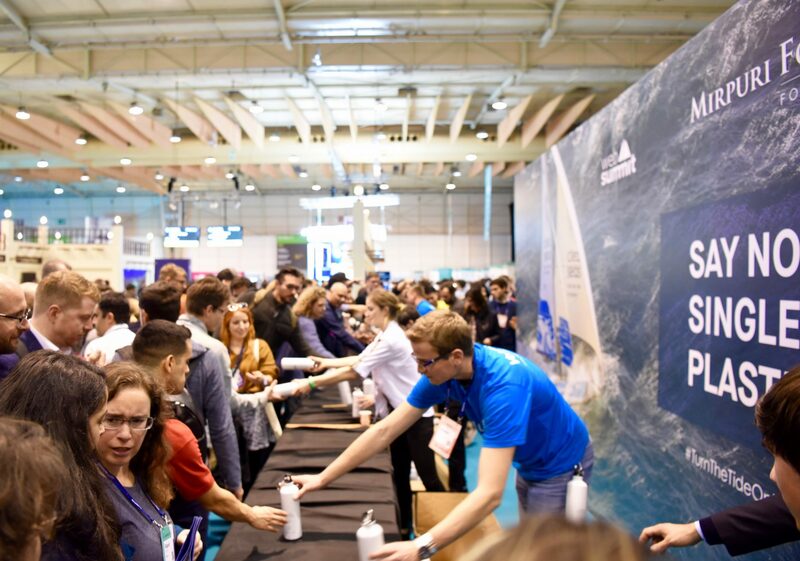 The announcement by Portugal’s Minister for Environment, João Pedro Matos Fernandes, on the Government’s change of stance on single-use plastics, was one of the surprises of the Summit, and a huge feather in the cap of the Foundation. 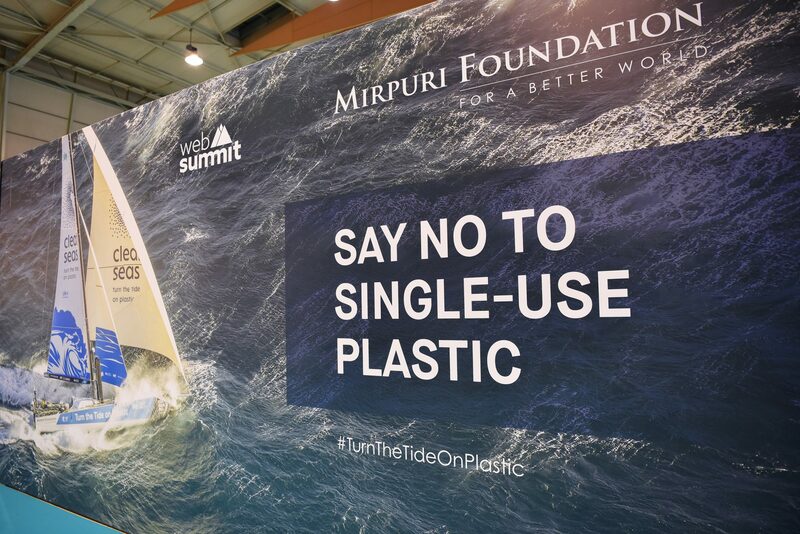 The announcement was met by loud, spontaneous applause from the thousands of Summit attendees and delegates who had come to the stage to listen to a panel discussion between foundation President Paulo Mirpuri, the Minister, and marine campaigner and environmental activist, Alexandra Cousteau, addressing the question: ‘What Will Be the Final Straw?’ Unsurprisingly, the Minister’s announcement was immediately welcomed by both panel members. 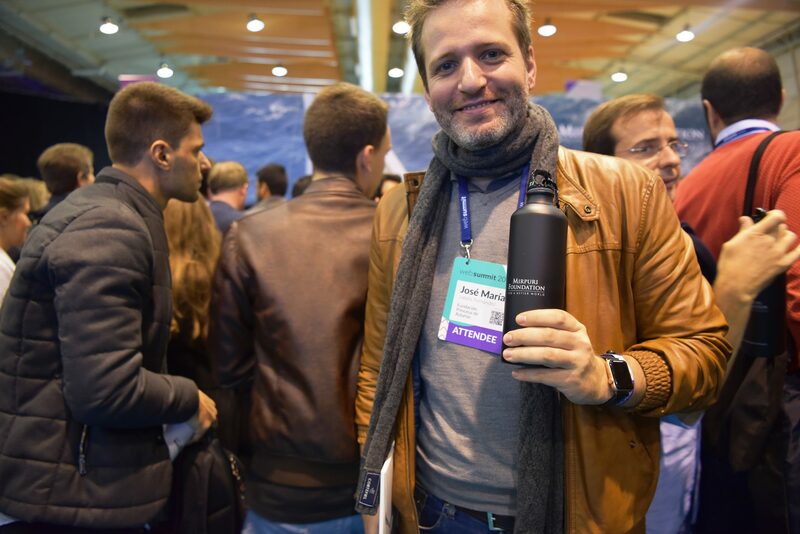 Paulo Mirpuri, who shared with delegates his three-stage plan for the elimination of plastic from our environment and highlighted the detrimental impact of plastic on human health, called the Minister’s announcement: “a great day for Portugal, a great day for the Foundation, but, most of all, a great day for future generations of Portuguese children. 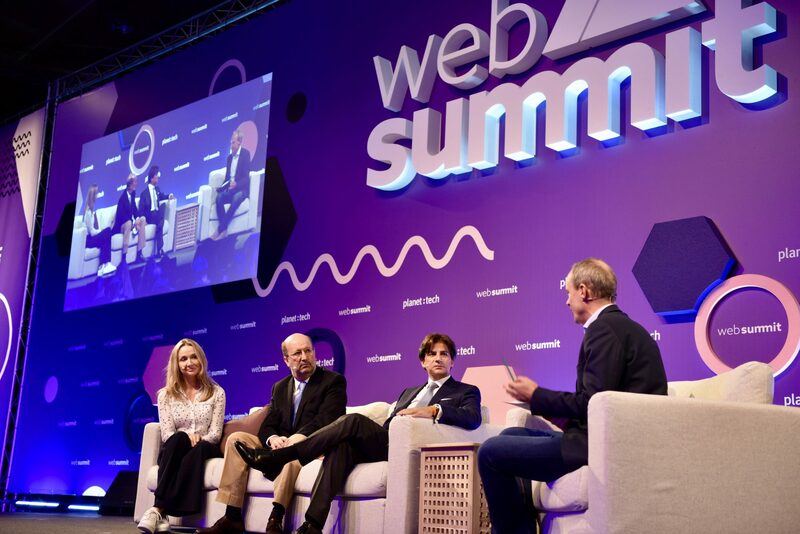 “It is our responsibility to increase awareness of this issue,” he said on stage as part of the panel discussion, “and that is starting to happen”. “We must then turn off the tap. 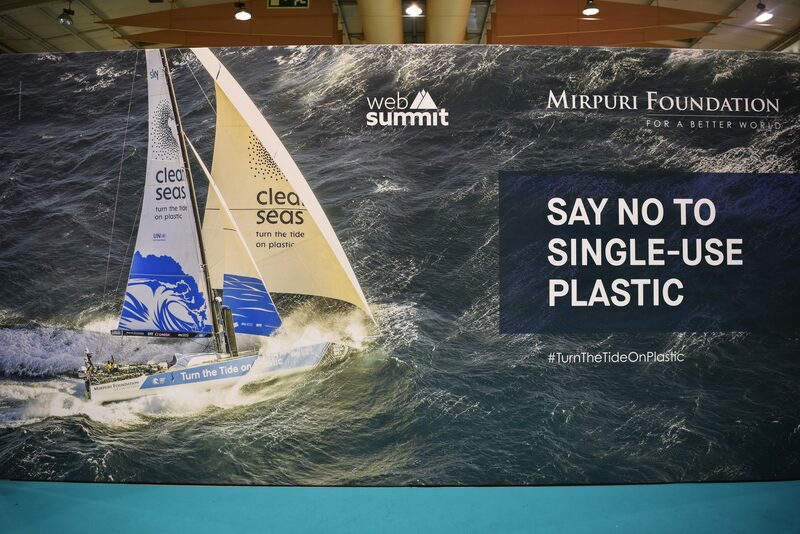 No more plastic can be allowed to flow, as it currently does so easily, into our oceans and environment”. 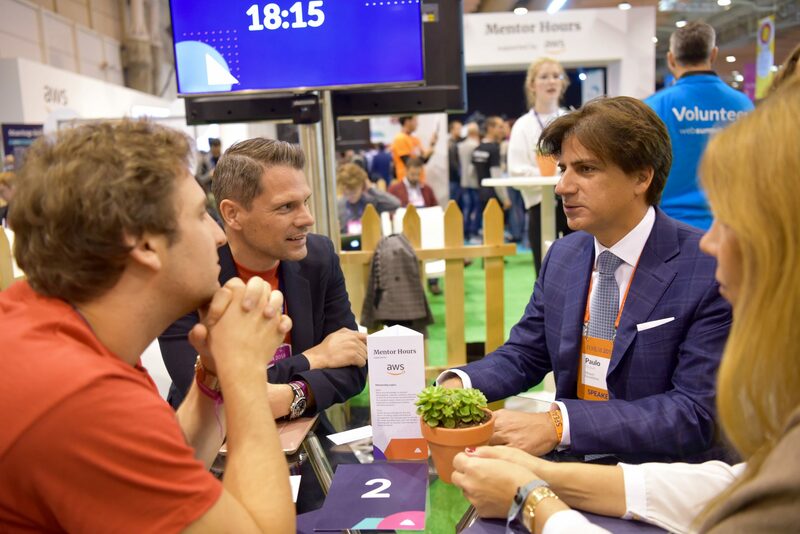 “The details of meetings with individuals must obviously remain private, but similar themes emerge when you speak to someone about chasing their dreams. Making sure that your work is also a passion, demonstrating total commitment to your project”. 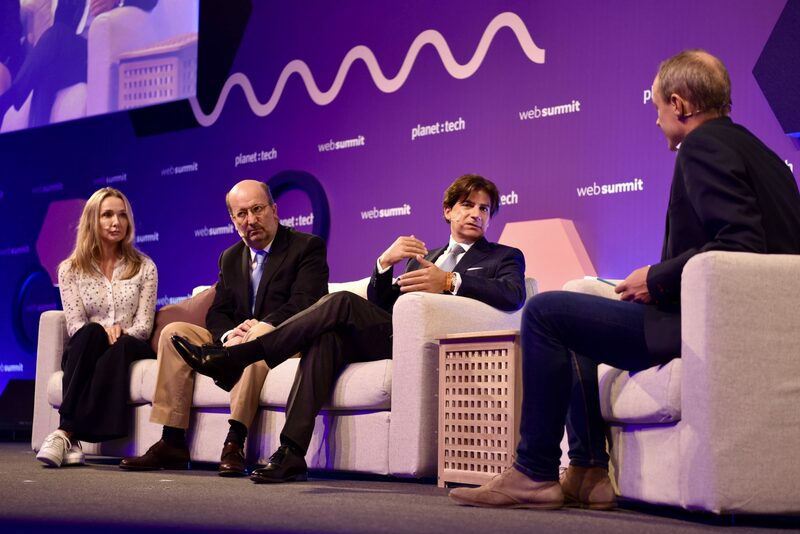 As President Paulo Mirpuri was speaking at the Summit, Planet:Tech host Ana Agostinho, and other members of the Foundation, were working hard to get some of the Foundation’s key messages across to summit attendees. “It’s been an amazing event for the Foundation,” said Ana”. “We’ve got very involved with the Summit, and the organisers have been very on board with what we’ve been trying to do here”. 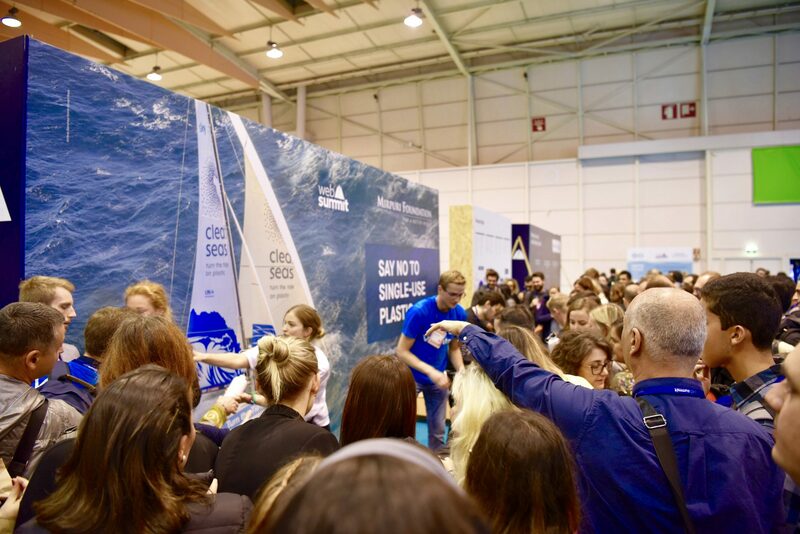 “The Summit is very ‘into’ sustainability, so our message has complemented their business”. 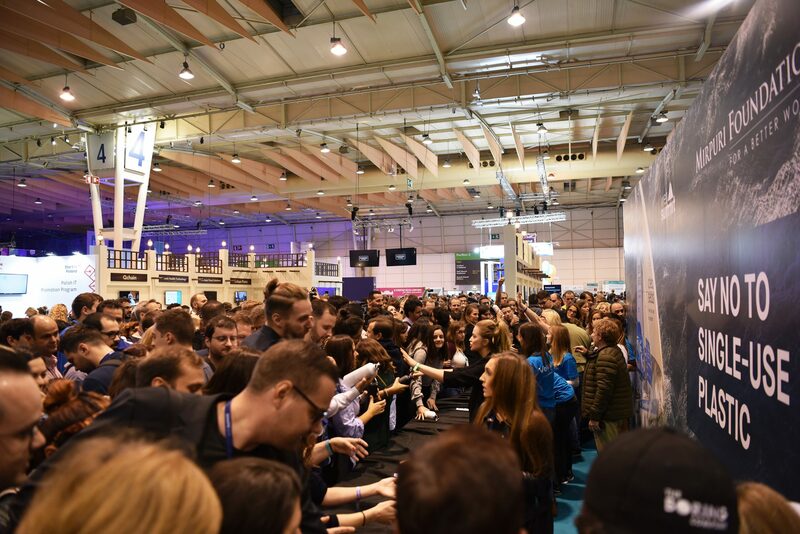 “Hosting the Planet Tech stage has been an incredible experience for me personally, as well as offering the Foundation an important opportunity to promote its objects more widely”. “I’ve met so many inspiring people; it’s something I’ll always remember”. 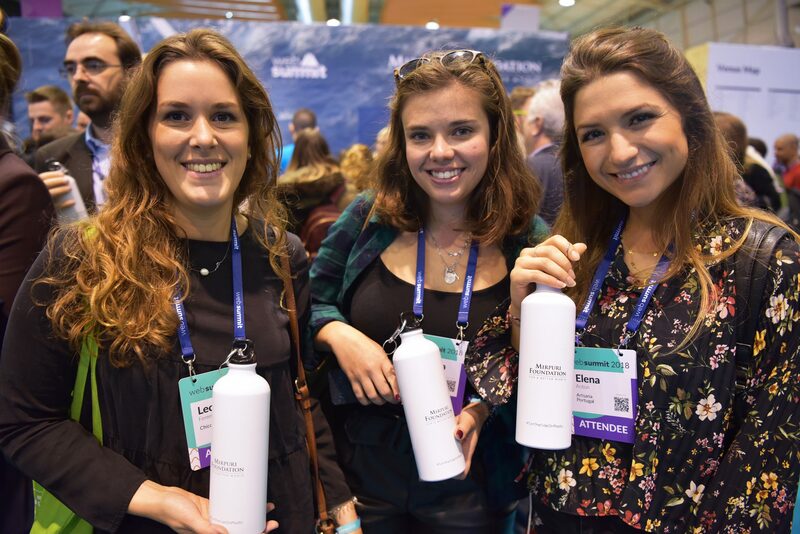 “The Foundation stand has been one of the busiest at the whole event, and everywhere I looked, attendees had our bottles”. 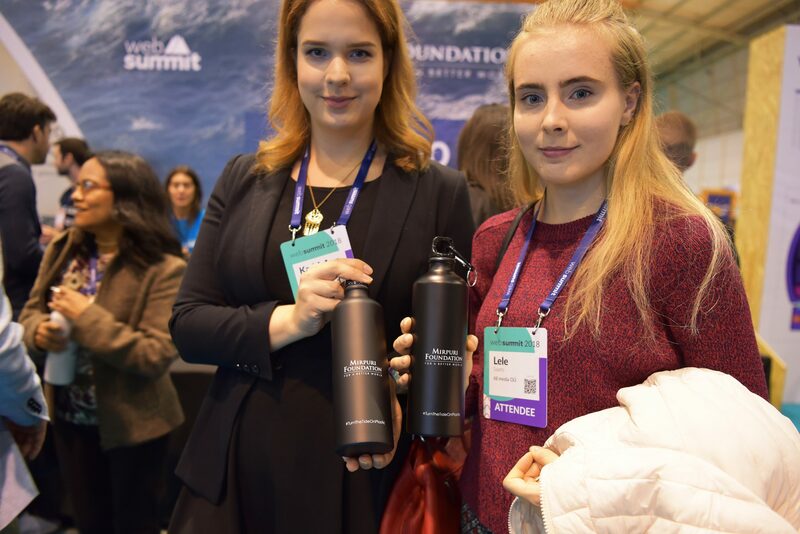 “They will take these home as souvenirs, or as gifts for their children, and, in this way, our message on sustainability for a better world will spread organically”.